After a pretty sleepless night in the overcrowded Rifugio, we got up just past 5:00. Breakfast was minimalistic, rusk with honey, jam and Nutella. At least they had good hot chocolate. Sunrise was very pretty and we left at 6:45 since we wanted to take an early look at the glacier before deciding whether to do it on our own. 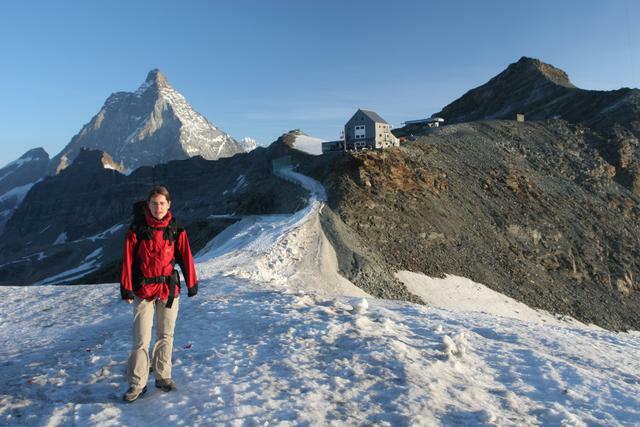 Irene standing in front of the Matterhorn and the Rifugio del Teodulo. We traversed the snow ramp in the picture and from there it was very easy to descend onto the ski slope that runs along the glacier. It had been cold enough for the snow cover to freeze and there were a lot of footsteps visible from the previous day. 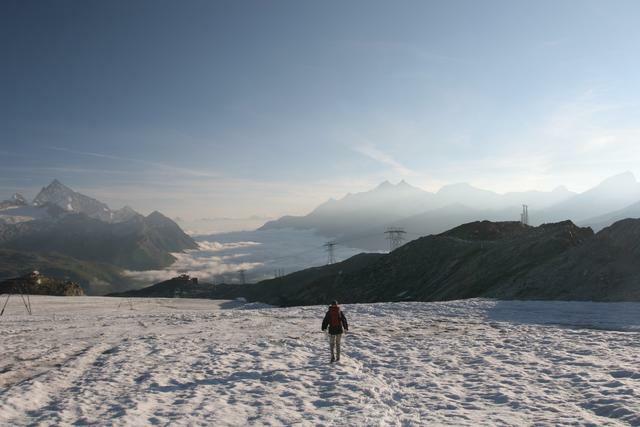 Since the only visible clouds were in the Mattertal quite a bit below us and they seemed stable, we decided to cross the glacier on our own. 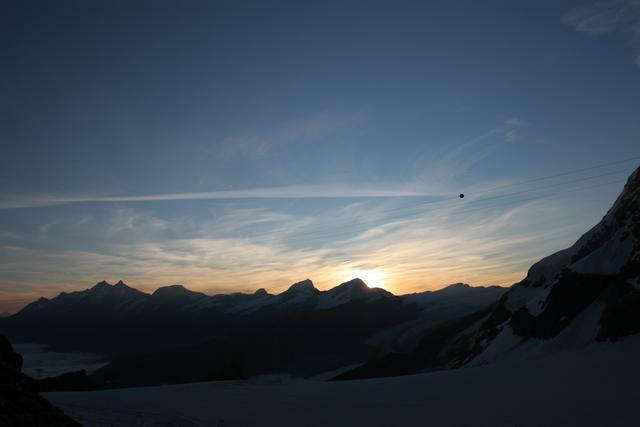 We got a closer look at the Breithorn and Kleines Matterhorn from the Theodulglacier. After about 1.5 kilometers the TMR turns away from the ski slope. 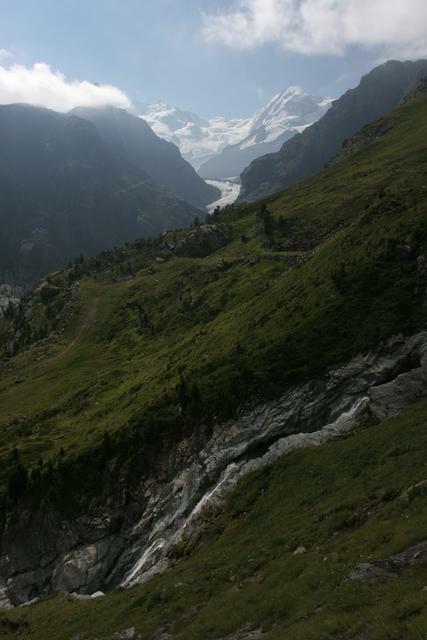 It was quite easy to follow the path due to the large number of footsteps on the glacier. 35 minutes after we started we arrived on the rocky ridge visible on the right which leads down to Trockener Steg. 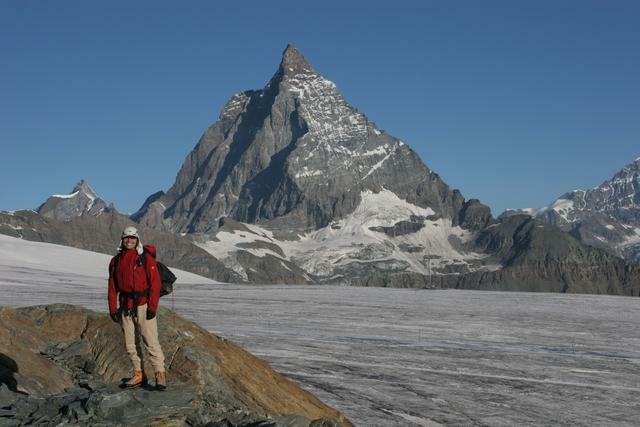 Me in front of the Theodulglacier and the Matterhorn. 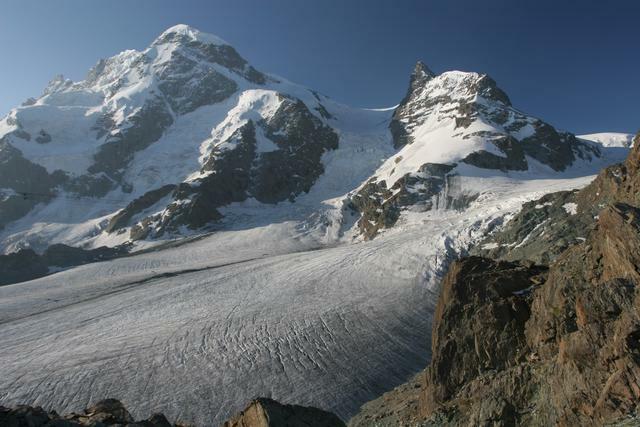 Breithorn and Kleines Matterhorn with the Theodulglacier in the foreground. The clouds over the Mattertal started to clear as soon as we entered them so we got some nice views going down. We took a short break and had some sugary drinks, Rivella and Coke, at a cute little Restaurant called Hermetje. Going down this much started to tax our legs a bit, especially given that the day before had been quite long as well. 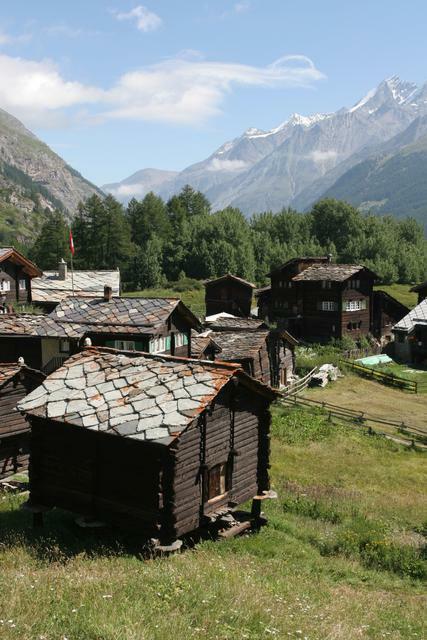 Just above Zermatt, there is an old cluster of houses in Blatten. Too bad they put some satellite dishes up. 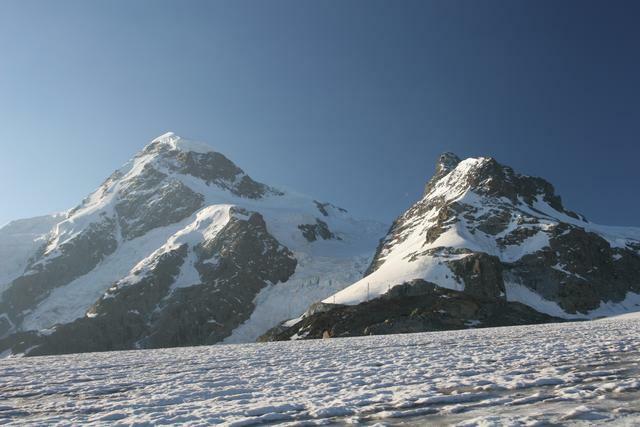 The mountain on the right in the background is the Täschhorn. 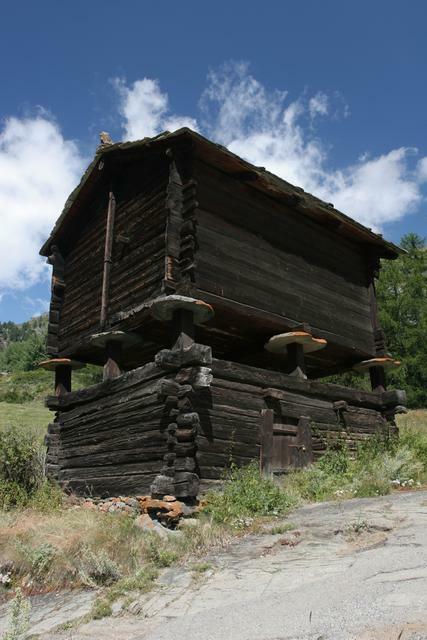 Most of the old houses are built on stilts which are topped off with a flat rock plate. I am not sure why, perhaps it is to ward off mice. We made it to Zermatt at 11:45 and managed to get a printed list of bed and breakfasts with free rooms just before the tourist office took its lunch break. The weather forecast for the following day was a bit mixed, they were expecting rain during the night and part of the next day. We found a decent looking bed and breakfast in the list, the Hotel and Restaurant Grill Stockhorn. 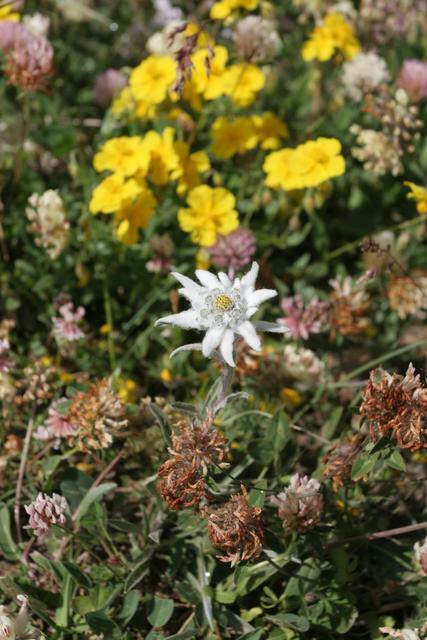 It was in a quiet central location but not on the bustling main road. Our room was very nice and, given that it was Zermatt, the price of 115 CHF for two including breakfast was ok. We had a very good pizza in the Walliserhof in town, bought some food for the evening and went back for a well-deserved afternoon nap. 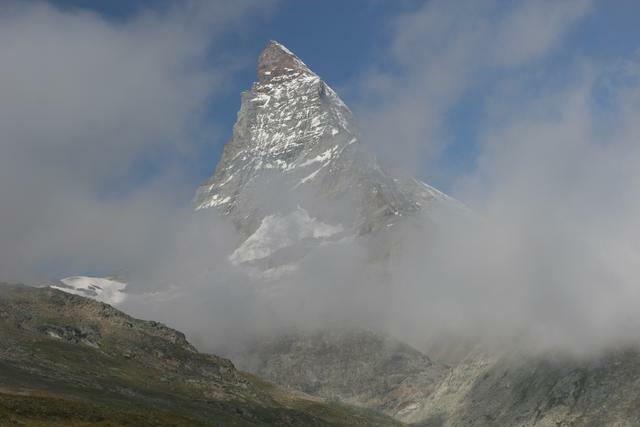 Due to the unstable weather forecast we booked for two nights and decided to stay in Zermatt for one day.